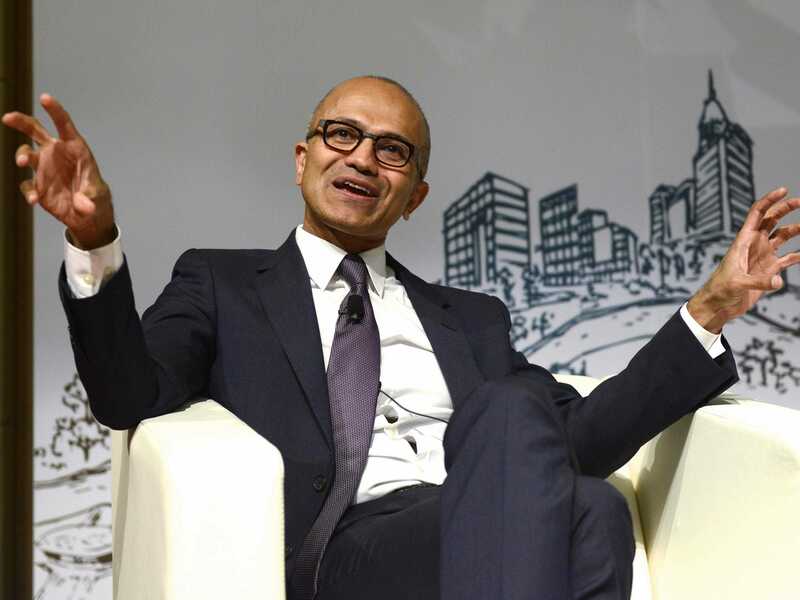 REUTERS/China DailyMicrosoft Chief Executive Satya Nadella gestures as he speaks during a forum at Tsinghua University in Beijing September 25, 2014. We can’t even remember the last time we saw someone under 30 fire up a PowerPoint instead of a Prezi when giving a talk. Microsoft hopes to put the kibosh on that with Microsoft Sway, its new presentation app. 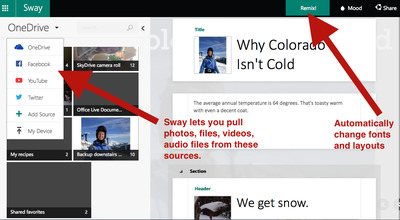 Sway lets you drag and drop photos, videos, files from your computer, Facebook, YouTube, Twitter or cloud storage. It works via a Web browser or an app for your phone and the presentation is stored on the Web. Microsoft announced Sway in October and on Monday offered an update, giving preview invites to various journalists including us. We played around a little with Sway and can confirm that it is remarkably easy to use. It has some nice features like “change my mood” which lets you choose a new layout, background, and fonts. The “remix” button does that for you (a little like the “I feel lucky” button on Google). Business Insider/Julie BortMicrosoft Sway is easy to use. But first things first. Prezi says it has over 50 million people using it, including 80% of the Fortune 500. That’s an awful lot of people who have had their heads turned from PowerPoint. Microsoft needs an easy-to-use alternative to Prezi, and Sway fits that bill. Here’s a partial demo from Microsoft’s video. Notice this Microsoft ad shows the guy using Sway on an iPad. Skype Translator, a service launched earlier this month that will translate a Skype conversation between two languages in real time. Delve, an Office 365 tool that rolled out in September that is supposed to find all the important stuff buried in your documents, calendars, contacts. And Cortana, Microsoft’s answer to Siri, available in the current version of Windows Phone and, sources say, will be available as a desktop app in Windows 10. And here’s an example of a Sway presentation.